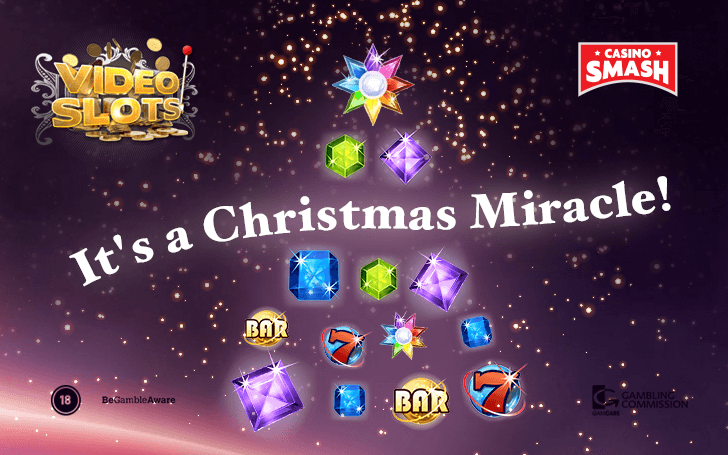 Experience a true Christmas miracle at VideoSlots and enjoy a month full of promotions and new games! Christmas is coming fast, and VideoSlots has something marvelous to help you get into that holiday mood. Begin your holiday adventure with VideoSlots, as they unwrap TWO new gorgeous games that are sure to bring you some cheer! Do you want to play something with some serious holiday spirit? Here comes Santa! A whole new slot from Microgaming featuring 5 reels, 3 rows, 20 paylines, and a RTP at 95.92%! Receive a Bonus Game by collecting the bonus symbols. 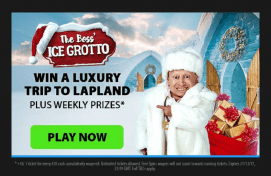 Open up to 12 gifts - one of them contains the jackpot equalling 250 times your bet! Last but not least, there’s the Free Spin mode; go and win up to 6 Free Spins. Have you ever noticed free plays always seem to be really lucky? Maybe you’re a little overwhelmed with all of the holiday hoopla? If that’s the case, Tanzakura by Genii is a beautiful slot machine game that teleports you straight to ancient Japan. It’s a definite must-try if you’re in the need for an end-of-the-year getaway. This classic slot game has 5 reels and 3 rows, which add up to 50 winning pay lines. The RTP of Tanzakura is 95.84%. The lucky symbol is a crane - collect 3 of them and win the Pick a Prize feature! Play with the Free Spins mode and gather 3 scatters to get 10 Free Spins. Or, if you’re lucky, hit 5 scatters and earn yourself 16 Free Spins! So, if the family’s getting to you this year, try heading to Japan for a breath of fresh air with this crisp new slot game. There you have it, two beautifully wrapped presents from Videoslots. Merry Christmas! Have you already started your countdown to Christmas? VideoSlots has too! Every day throughout all of December, you can unwrap a new prize! But how? Try your luck each and every day until Christmas; claim your bonuses and WIN BIG! Win prizes every day from December 1st through the 25th. The bonus prize applies to a new game daily, so make sure to follow the VideoSlots page to find out which game is eligible that day. The Christmas news and bonuses aren’t the only goodies worth checking out at VideoSlots. Create an account and join one of biggest online casinos out there! Play slots, roulette, blackjack, video poker, scratch cards, and much more! Register an account this December and WIN! Play the Rise of Napoleon Slots FREE at Lapalingo!